Another long river that crosses so many countries from West to East, from the high mountains in Angola to end up open wide in the Indian Ocean is the Zambezi River. DRC, Angola, Caprivi, Botswana, Zambia, Zimbabwe, Mozambique. This is a long journey! Part of his journey has green vegetation on the upper shore while desert and savanna on the Southern shores. 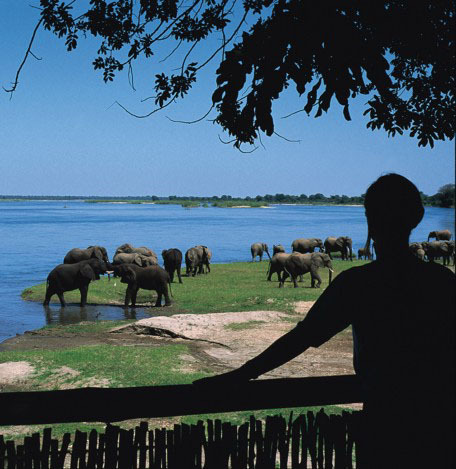 So rich in water that creates Falls, the one that Dr. Livingstone found, stays still in Kariba Lake, allows elephants to cross at Manapools/Lower Zambezi. Lyinanti River on the Southern Part of the Caprivi flows into Chobe River and together they meet Zambezi that sometimes it makes them go towards the opposite direction. It is interesting! Along its rich shores a lot happens. Besides all the local villages, there are so many wild animals that can be seen in any season. Mokoro keep crossing and what it is nice, it seems that there is no boundaries for locals and of course no boundaries for animals. Great for fishing catfish or tiger fish. 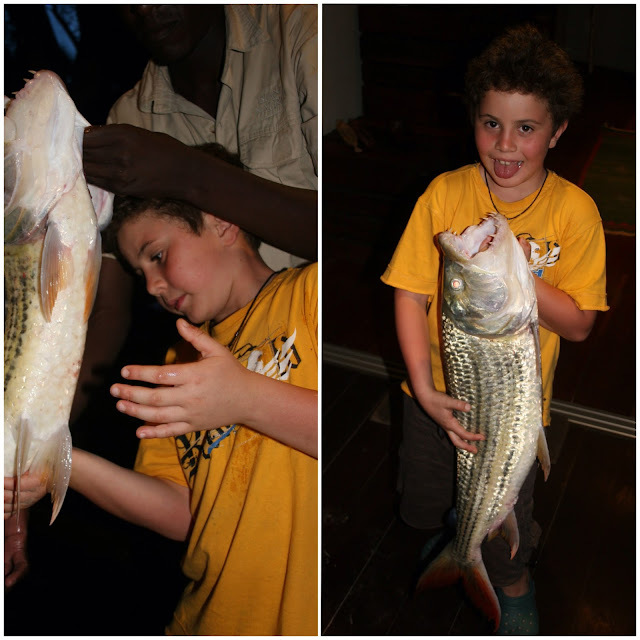 Lamberto was small when he caught his first tiger fish! An American gentleman was visiting the lodge and he was there over a week when we arrived. Had caught nothing yet, or at least nothing worthwhile listing. We went out on a boat ride among reeds and papyrus. Charlotte and I stopped at a certain point and went back to the lodge to enjoy a nice, hot bath in a great tub facing the river. We could still hear the sound of the birds. Lamberto and his father kept going along the river. Lamberto wanted to try fishing. 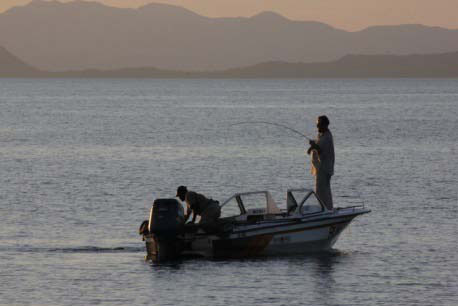 A big tiger fish caught his bite and with the help of the ranger he managed to bring it on boat. Once he arrived at the lodge, the American man was there, easy going at the entrance and saw Lamberto with his pray…. Lamberto that day stroke the record of the place. It was over 8kg fish! The American man that had arrived for that, was crossed ! Silence is the main characteristic of this journey (except when Lamberto caught that fish) and you can see it by living on its shores. Yes, I love rivers and I love to live the life of wherever I find myself, but if one wants, there are wonderful lodges along it to make it live it in a sweeter way. 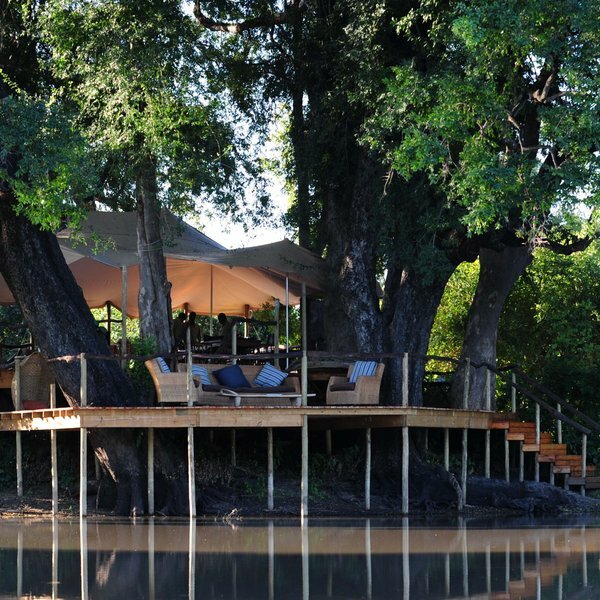 I think honeymoon trips should all pass by the Zambezi River, whether around Zambia or Zimbabwe, either way it is a great feeling. 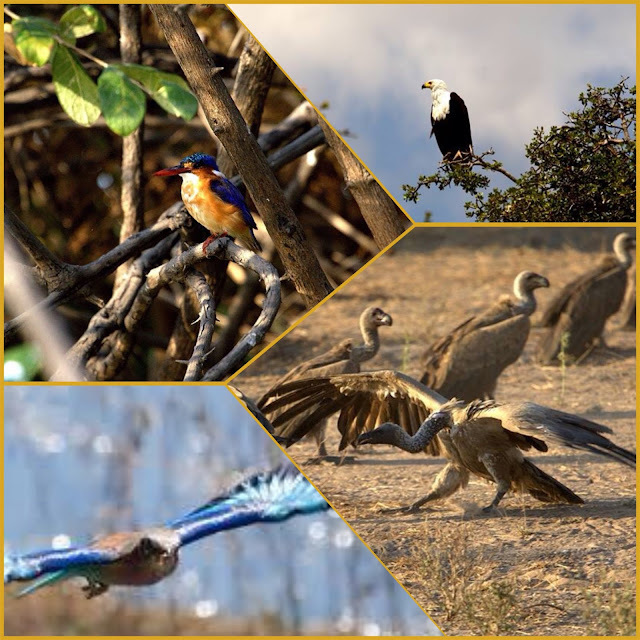 Sunbirds, Kingfisher, Rollers, Fish Eagles, Kites, Vultures, Snake Eagles, it is the world for birdwatchers. They sing, they call out: “go away – go away” Grey Lourie say.